A young woman who allegedly pretended to be dying of liver cancer sent her friends shocking messages in a bid to gain their sympathy and scam them out of thousands. 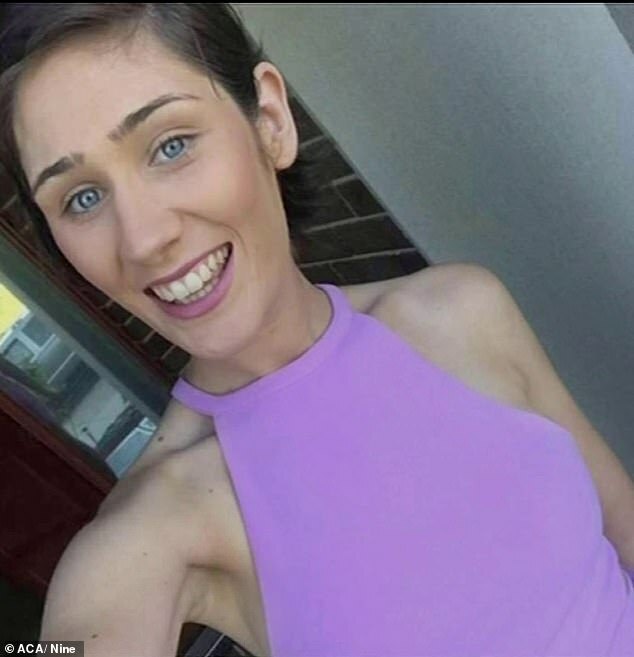 Alysha Rose Goring, from Melbourne, is accused of ripping off a ‘large’ number of her friends and family while pretending to have the deadly disease between March and April last year. 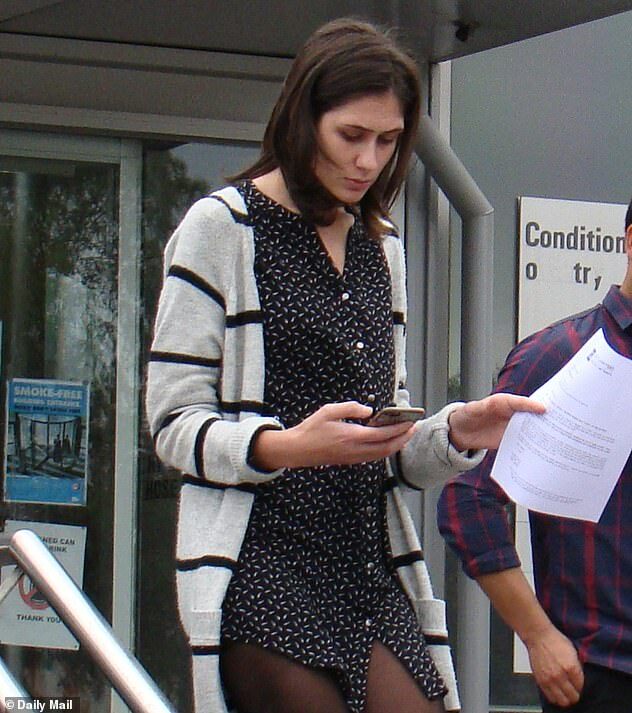 The 26-year-old allegedly made up elaborate stories to her friends and family, which included having to have ‘multiple abortions due to chemotherapy’, A Current Affair reported. ‘I found out that I’m pregnant and I can’t keep it. I’m so against abortion but the chemo will cause the baby to have side effects,’ one message to a friend read. 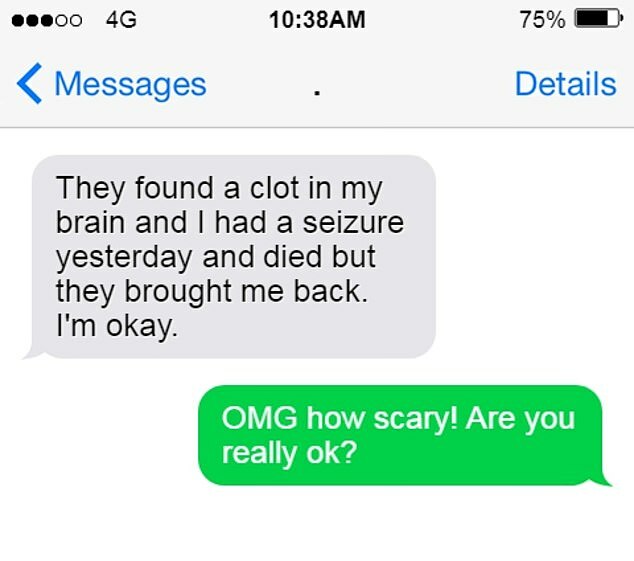 ‘They (doctors) found a clot in my brain and I had a seizure yesterday and died but they brought me back. I’m okay,’ another message read. Monique Portelli, who has been battling 3B Hodgkin Lymphoma, was contacted by Goring claiming she too was battling cancer. The pair would often share their stories about what they were going through – their diagnosis, prognosis and treatment. Ms Portelli said she now feels that she was being used for information. She was one of many people who donated to help fund Ms Goring’s supposed life-saving treatment in Texas. However, Goring reportedly used the money on an overseas holiday to the United States where she visited Universal Studios and the zoo. ‘It makes me sick thinking that I went there and donated to cancer research when I was going through everything and she’s just taken that money to go and travel,’ Ms Portelli said. When friends began to question her about her story as it did not seem to add up, her lies started to unravel. Ms Portelli said she became sceptical of Ms Goring when he hair began to grow back as normal. She said chemotherapy patients hair tends to grow back in ringlets – whereas Ms Gorings grew back straight. One friend told A Current Affair when they contacted hospitals where Ms Goring claimed she was getting treatment, they were told there was no record of Ms Goring being a patient. 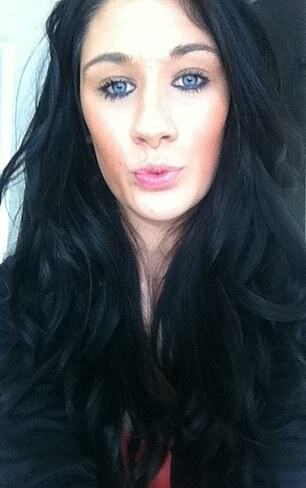 Police have claimed Goring had targeted those closest to her. ‘As a result, a large number of family, friends and associates donated more than $9000 by way of direct debit or cash donations,’ a police spokesman said. In September last year Ms Goring was charged with obtaining property by deception. She appeared in the Sunshine Magistrate’s Court on Monday for a plea hearing, which was adjourned. She will reappear in court on July 3, where she is expected to plead guilty.